1 x Fudge and 1 x Chomp. If you'd like to win this chocolate treat, simply use the RaffleCopter form below to do so. This giveaway is being paid for my me, it is not sponsored in any way. Open to the UK only and closes on Sunday June 30th where 1 winner will be drawn at random. Good Luck! Dark chocolate with orange, praline or mint. Or a Fruit & Nut! Maltesers - I always mean to eat just one or two... the next thing I know the bag's empty and I can't even blame the kids lol. 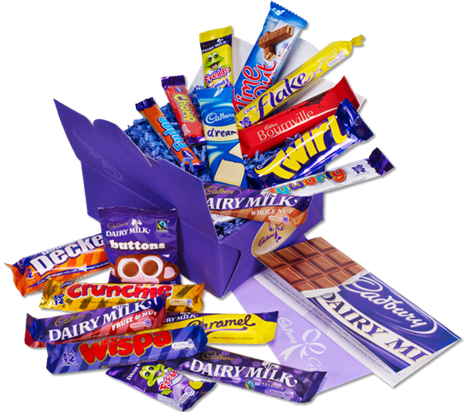 All cadburys chocolate - i prefer that to more expensive brands so this is perfect for me!! Fingers crossed and thanks for running this great comp! Galaxy Caramel, Cadburys caramel,Frys Chocolate cream, Green & Blacks white choc or any good dark chocolate. Cadburys Dairy Milk - cant beat it! Dairy Milk :D Looks great!! Terry's chocolate orange- so smooth and fruity! Galaxy caramel is my current favourite. I used to love Caramac but can't get it now so its Caramel. Dairy milk with nut and toffee crisp - sorry it's two but I can't choose! Just one favourite? You ask too much. I do like a Double Decker though. Oh Cadbury Wispa - too yummy!! The new cadbury bar with popping candy! I love all chocolate but at the moment, my fave is Maltesers. I LOVE Cadbury Nibbles. They are amazing. Love chocolate and caramel so a winning combination. I'm a Twirl kinda girl! Hotel Chocolat dark chocolate truffles, especially with some kind of alcoholic centre, haha! I love Bounty - my partner and I share. The new Dairy Milk Jelly pops! My favourite is Cadburys Caramel! Cadbury is my favourite make of chocolate so I love everything that they make but if I had to pick one I would probably say wispa. My favourite is Cadbury Caramel Eggs.